The Fan is pretty loud (a lot louder than the DS1052E). The keys seem to not respond all that great, you really have to press those keys (you can see that in the video). The pop-ups stay too long in my opinion. The power led fades on and off when the device is not on, its very very dim but I bet it could annoy some people (not me though, I sleep in the same room and I haven't noticed a thing). For some people the 16kpts arb length might be not enough. The square wave at 25MHz doesn't really look like a square wave at all but I don't know if that's a problem or not, I doubt it is. Dual channel, both channels can do the same thing, no channel that's lesser then the other like some devices. The amplitude settings, you can do either Amplitude and offset or High point and Low Point. The output impedance, either High-Z or 1-10.000 Ohm. I think the boot time is pretty quick. The Help button could come in handy. Counter works really well, i do wonder if the 10MHz input would also be used for that. Under "Utility" > "CH Copy" the "Type" is misspelled as "Tpye". When the 2 channels are coupled, (CH1 being the Base channel) with CH2 having a phasedeviation of 90°, whenever you change the frequency it loses this phase deviation (the number still says 90° but the actual deviation is only 0°), Pressing "Align Phase" doesn't do anything, the only way to fix it is to change the phase deviation on CH1 and then back to 0° and then it works like it should. This is not so much a bug but it would make the device a lot more usable; when you use the knob to change the value of something and for example the value is 5.000 and you are standing on the 5 with your cursor you can turn all the way down to 1.000 but then it stops, it would be nice if when you stood on the 1 and turned even lower it would jump over to the next digit so you could scroll even further for example you would go from 1.000 to 900 and then 800 etc. If there is anything you want to see/know then tell me and I'll either make video or just tell/show you (mind you I don't have a spectrum analyzer only a scope and a 6.5Digit DMM). 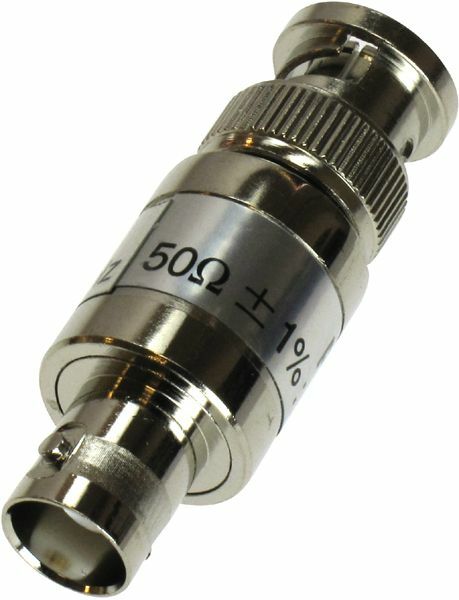 How responsive is the knob for adjusting frequency? - is it smooth or does it jump or glitch? Looking at the specs, seems like the only difference between the 60,100 and 60M models is tha output bandwidth - the sample rate is the same (not sure how useful a 160MHz waveform will be at only 500MSPS sample rate). - I wonder if this is another varicap slugging job... hack time I think..! For 160MHz a samplerate of 320MHz would do in theory. In reality you will need a little bit more but not 500MHz. Don't forget bandwidths are always specified for sine waves. Analog Devices in their document on DDS use a ratio of 40% for the output frequency vs the clock frequency; that would come down to 400 MHz to generate that 160 MHz signal. It sort of depends, if you turn it normally then it's smooth, if you try and turn it at really fast speeds then it only updates it when it's stable(the number on the screen). I bet there is but I don't know enough of this to try it, I bet they figured out a way to stop the DS1052E drama by only changing the serial though. Exactly - "In Theory" = assuming a perfect output filter, and the whole point of an AWG is it can generate more than just sinewaves - calling it a 160MHz AWG with only 500MHz sample rate is s bit cheeky. With a fixed 500Msps, I can't see that the additional $500 premium of the "160MHz" would be value for money in terms of extra capability. ..and BTW - major Rigol website FAIL - have to register to get datasheets, user guides etc.! Fortunately some of the distributors have more accessible copies. I have all the copies you might want, do you want me to send them? So I did a test, I set up a sweeping signal from 1 to 50MHz. You see the amplitude drop the higher the frequency gets, I don't know if this the scopes doing or the waveform generator itself, using a 50Ohm terminator doesn't help. So it is my scope then? any more pics to show more details about the inside of DG4062 THNAKS! There was no bandwidth limitation on so it might be ok. I'm not gonna open the device, i would prefer to keep the 3 Year warranty by not voiding the warranty, but PeDre has opened the device so you can see that in his post. I wouldn't know how to check for the harmonic distortion and phase noise of the sine wave, remember I only have a scope. Sine is the only thing it does at 160MHz. ARB is limited to 40MHz. At 160MHz the output is limited to 1vpp into 50 ohms. At a given frequency the maximum output level is the same across models. I wouldn't be surprised if there is no hardware difference at all between models. You can submit any old garbage and carry on with the download. I have done that on every visit you would think they might get a clue from the amount of garbage submitted. this are the best pictures I have. Using this program I got from this thread I made some spectrum analysis thingies. Hello ,i saw the harmonic distortion,thanks ! WELL but ur output amplitude is 5Vpp~~~~ would u pls show me the 0dbm's performance? made by the generator itself or by the AFE of the oscilloscope~ ! The fastest I could get the device to rise/fall: (ignore the rigol counter, it was 15MHz according to my Philips PM6615 Counter. Sine is the only thing it does at 160MHz. ARB is limited to 40MHz. A lot of people forget signals are basically a bunch of sine waves mixed together. Bandwidth indicates the limit for the highest sine wave component an AWG can produce. Whether that is usefull or not is up to the user. In DG4062 spec,rise time for square is less 12ns(1Vpp),but for arbitrary is less 5ns, and not definite rise time for pulse?I think if you use higher bandwidth scope like 1GHz above to measure,you should get the precise value. When I using TDS1012 to measure sync of 33120A,the fall time is around 3.5ns, but when using SDA760Zi, it changed to 700ps.